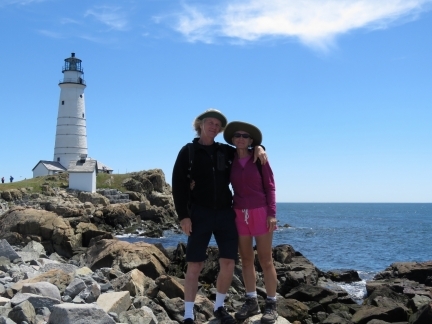 Boston Light on Little Brewster Island is a National Historic Landmark. 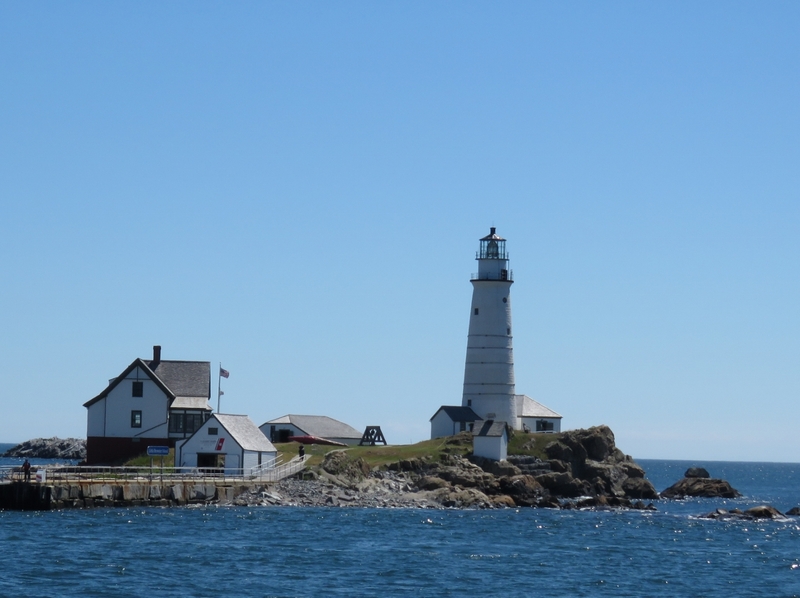 It’s the oldest working light station in the country and the only one still actively staffed by the US Coast Guard. Tours to Boston Light include a climb to the top of the lighthouse with its fabulous 81-inch second-order Fresnel lens and sweeping harbor views. At the Boston Harbor Islands Welcome Center to check-in for our trip to Boston Light on Little Brewster Island. 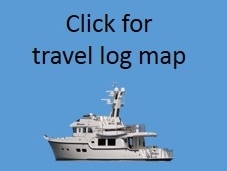 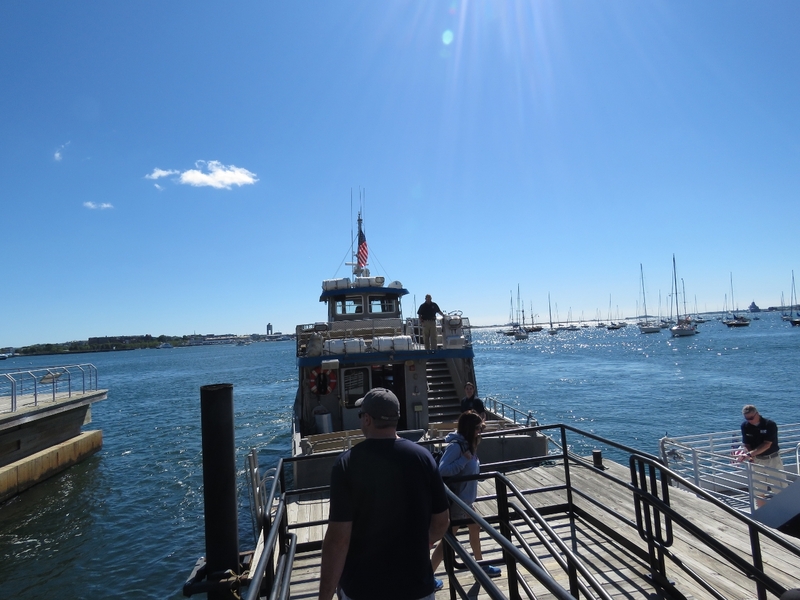 Our ride to Little Brewster Island, the MIT research vessel Columbia Point. Boston Fish Pier in south Boston is the oldest continuously operated fish pier in the country. 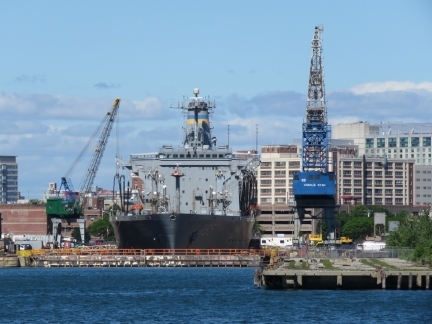 The USNS Leroy Grumman in dry dock at Boston Ship Repair. 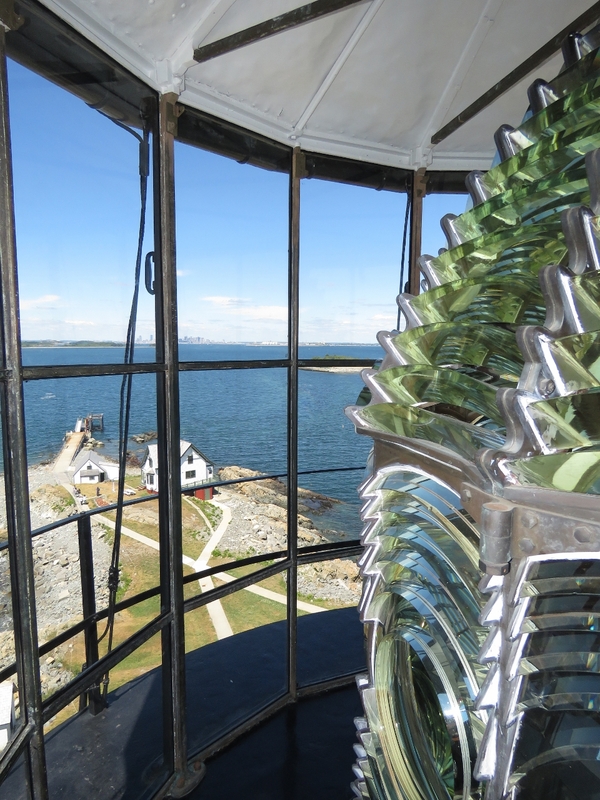 Today was a perfect day to visit the light. 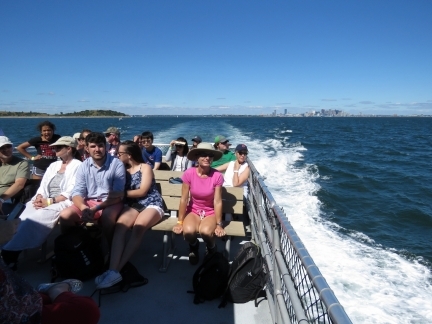 The weather has generally been sunny and warm most of the time we’ve been in Boston. Boston Light on Little Brewster Island is a National Historic Landmark. It’s the oldest working light station in the country and the only one still actively staffed by the US Coast Guard. 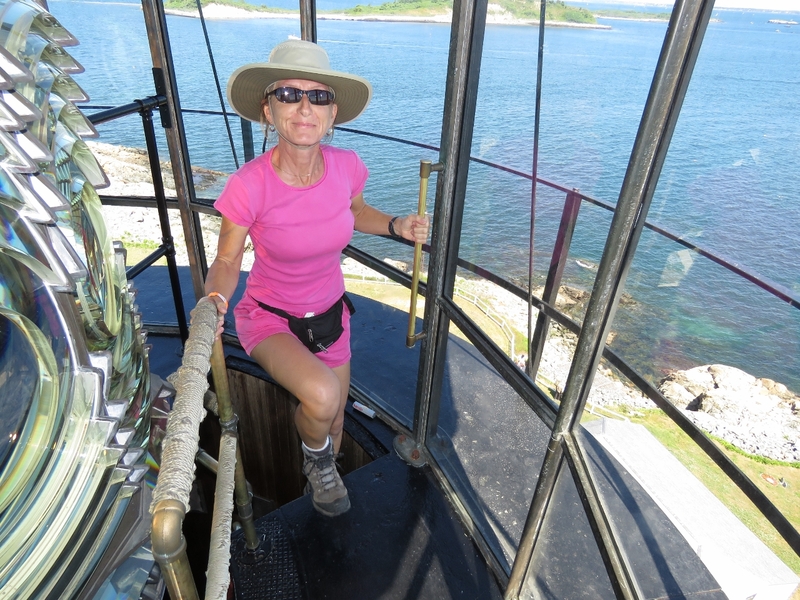 The current lighthouse keeper, Sally Snowman, is the 70th keeper and the first female. 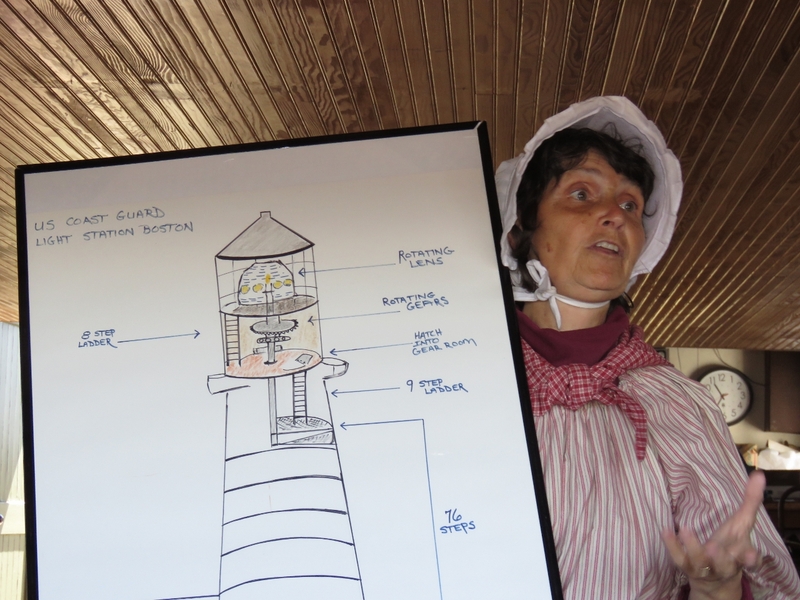 wearing Revolutionary-era clothes she makes herself, Sally gave us an overview of the station and explained the various parts of the lighthouse before we went inside. A small museum is in the bottom of the lighthouse, containing an number of historical artifacts. This fifth-order Fresnel lens was used as a harbor light and is about 21 inches tall, compared to the 81-inch second-order Fresnel lens in Boston Light. The lighthouse we visited in Deal Island north of Tasmania had a first-order Fresnel lens that stood 102 inches high. 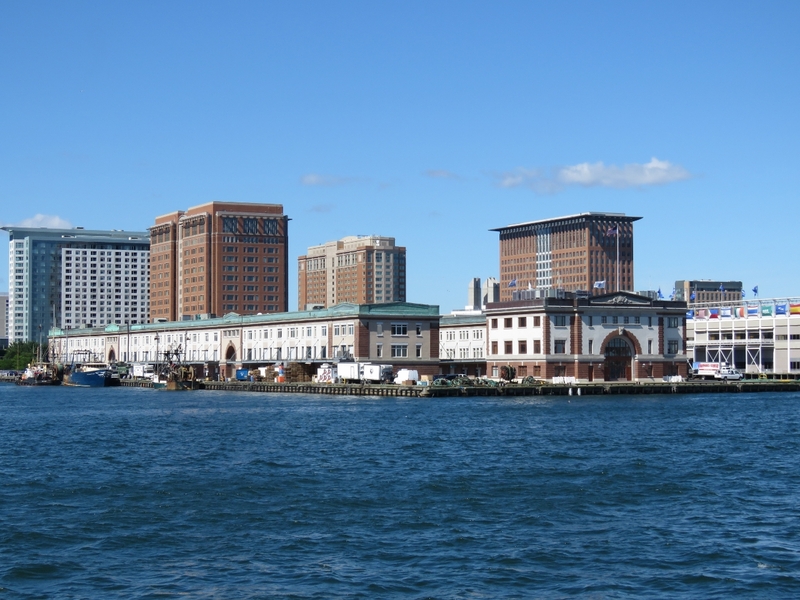 Boston light is the oldest active station in the country, but the second oldest working lighthouse. 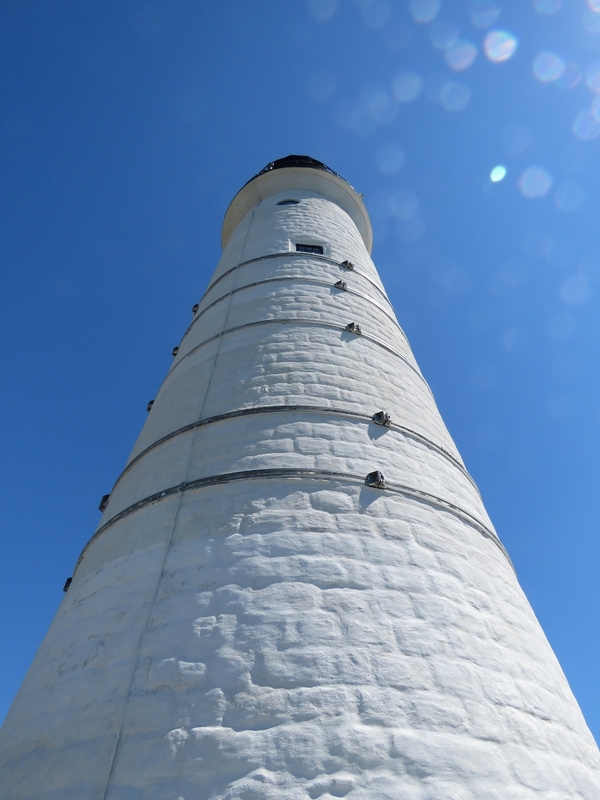 Sandy Hook Light in New Jersey is the oldest lighthouse, in operation since 1764, but it doesn’t have an active station. 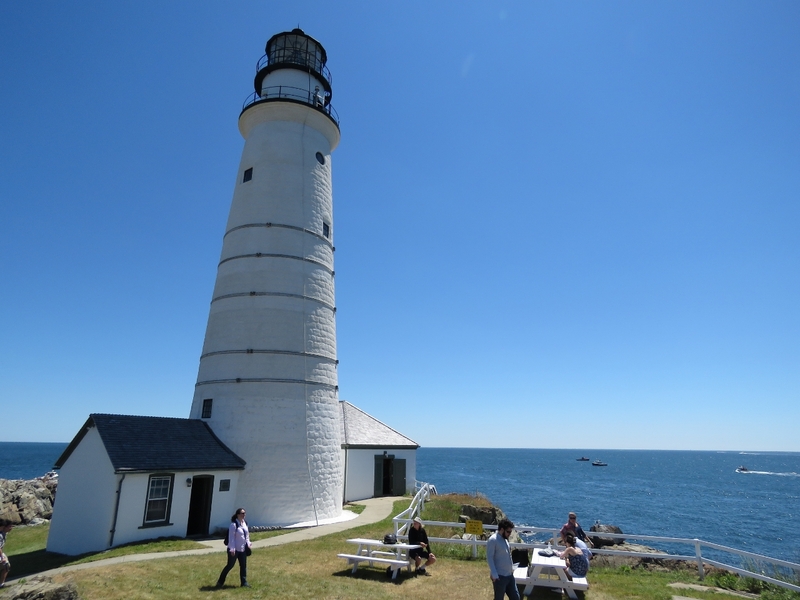 Boston Light is celebrating its 300th anniversary this year. 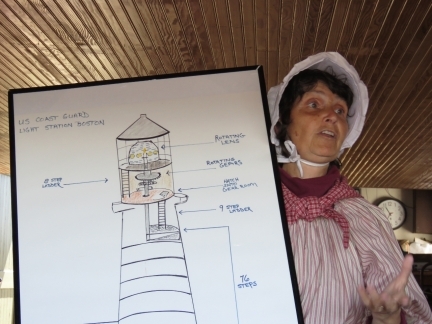 The first lighthouse, constructed in 1716, was destroyed by the British forces as they withdrew in 1776. 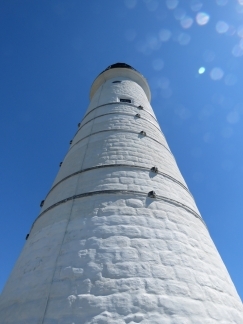 The current lighthouse was built in 1783 and raised to its current height of 98ft in 1856. The light is visible for 27 miles on a clear night. 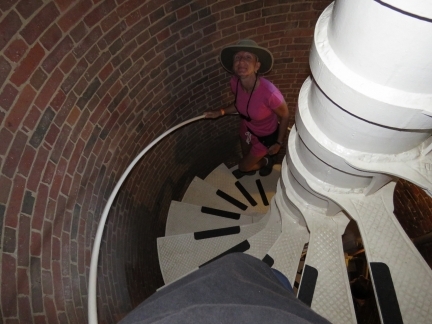 Climbing the 76 steps up the lighthouse tower. 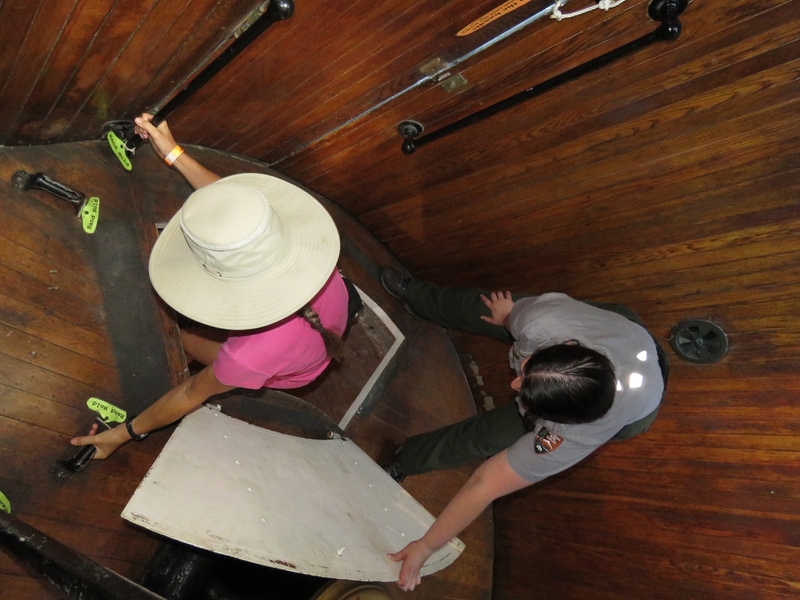 Through the hatch into the gear room. 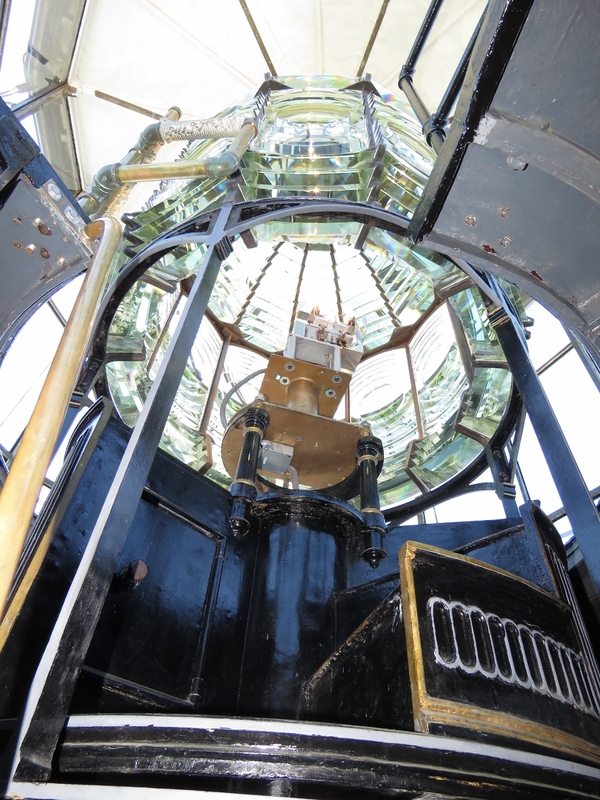 Looking up into the second-order Fresnel at the top of Boston Light from the gear room. 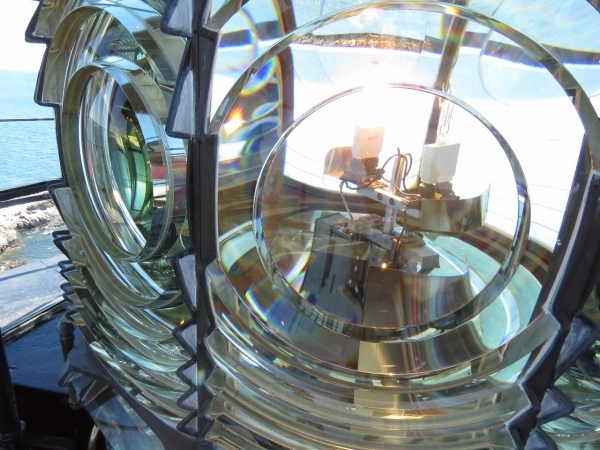 The multi-part Fresnel lens design allows for a thinner, lighter lens compared to a conventional design. 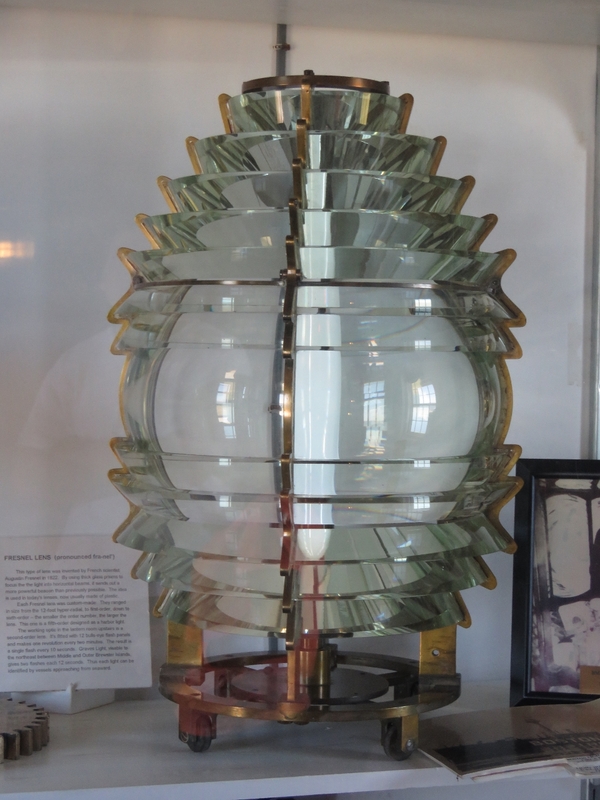 And the complex arrangement of glass is simply beautiful. 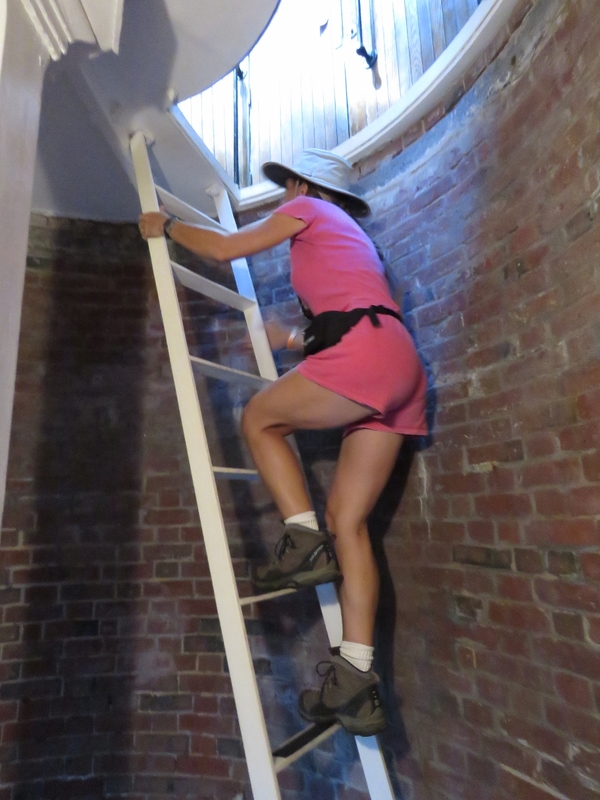 Up the ladder to the lantern room. And finally at the top. 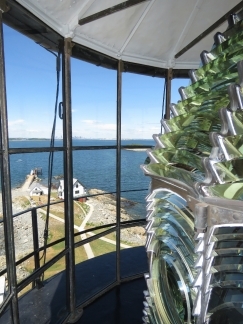 Looking across the second-order Fresnel lens at the top of Boston Light to the keeper’s house with Boston visible in the distance. Climbers went up in four groups of 8-9, so we had some time to relax and enjoy the island while the other groups visited the light. We had an excellent visit to Boston Light and Little Brewster Island. 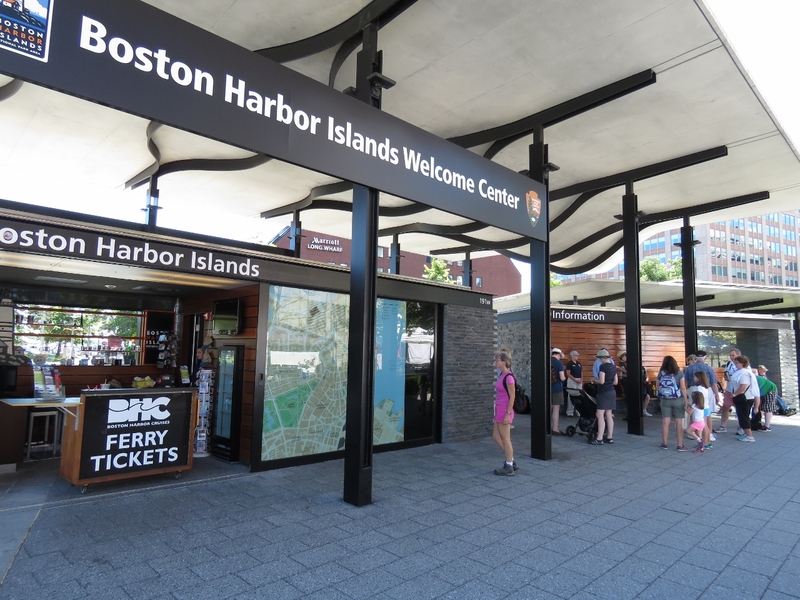 It was a real highlight of our Boston trip. 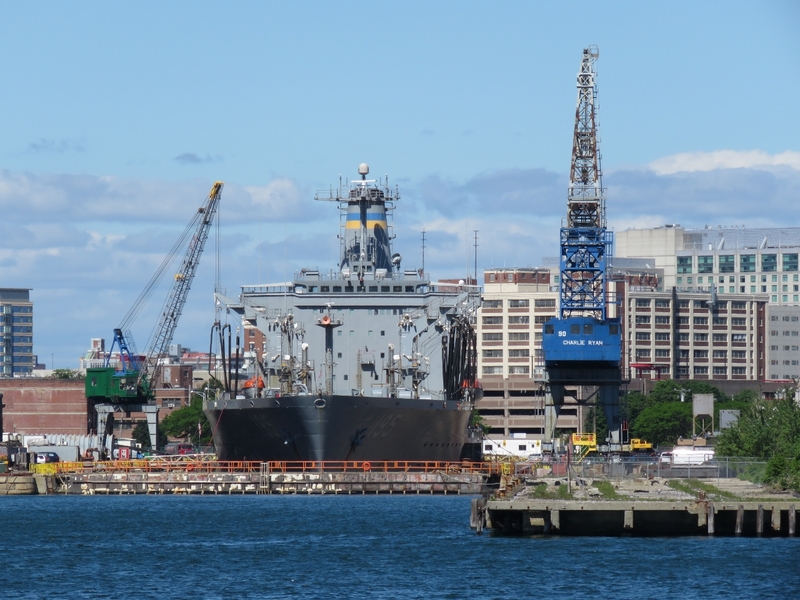 After our Boston Light trip, we had an excellent lunch street-side at the Tap Trailhouse.